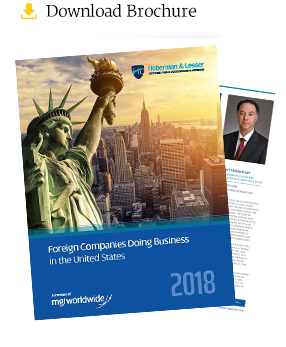 Hoberman & Lesser is a member of MGI Worldwide, a Top 20 international accounting network of independent audit, tax, and accounting firms, which combines the expertise of more than 5,000 professionals in over 260 locations throughout North America and around the world. Watch to see some of the global capabilities we can offer through our affiliation with MGI Worldwide. Our membership enables us to provide our clients national and international service, resources, and support. 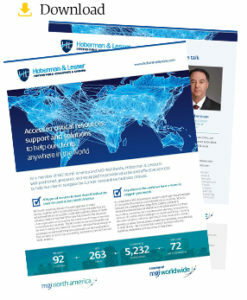 Through MGI Worldwide, Hoberman & Lesser has established relationships and connections with professionals who we know and trust in all corners of the globe. With our MGI colleagues, we can provide a complete service offering and assist you make your national or international business operations a success. MGI Worldwide is a quality controlled network and, like all independent member firms, Hoberman & Lesser is subject to review of our quality assurance systems and procedures that comply with international standards. Personal Touch: Partners of member firms of MGI Worldwide treat and service other members’ clients personally, and as if they are their own clients. In the network, members develop enduring relationships that are based on loyalty, respect, and shared experiences. We offer the personal touch not found in large firms. Entrepreneurial Approach: MGI Worldwide members are mid-sized, owner managed firms. We share the same day-to-day business challenges as our clients and we truly know what it means to be entrepreneurial. We understand your business and your aspirations. Global Reach: Members of MGI Worldwide are located in every continent and just about every key economic center in the world. MGI Worldwide has members in 81 countries. However complex a client requirement, professionals within MGI have the expertise to assist. For more information about MGI Worldwide visit www.mgiworld.com. MGI Worldwide is a network of independent audit, tax, accounting, and consulting firms. MGI Worldwide does not provide any services and its member firms are not an international partnership. Each member firm is a separate entity and neither MGI Worldwide nor any member firm accepts responsibility for the activities, work, opinions, or services of any other member firm. For additional information, visit www.mgiworld.com/legal. As a member of MGI North America and MGI Worldwide, Hoberman & Lesser is well-positioned, prepared, and equipped to provide valuable and effective services to help our clients navigate the current competitive business climate. Download the MGI Marketing brochure to learn more. 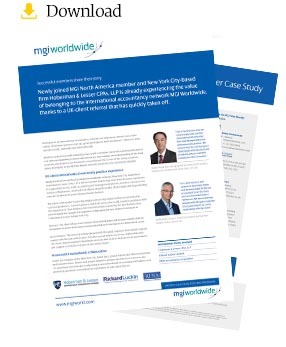 Case Study of a collaboration between MGI NA member firm, Hoberman & Lesser and MGI UK & Ireland member firm, Rickard Lukin. 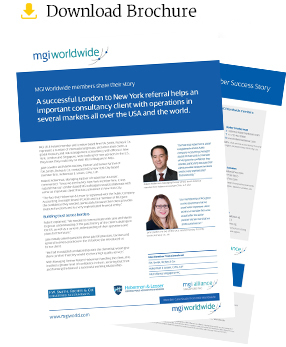 Case Study of a collaboration between MGI NA member firm, Hoberman & Lesser, MGI UK & Ireland member firm, F.W. Smith, Riches & Co., and MGI Alliance Singapore PAC.